Over the past few years we’ve seen 3-D panoramic photographs become popular on the Web. These are photos taken with special 360-degree cameras and stitched together to mimic the experience of moving through space. If you’ve ever used the Google Street View feature in Google Maps, you know what a 3-D still photo looks like. But what if Google Street View used video instead of still photos? You’d end up with YellowBird. 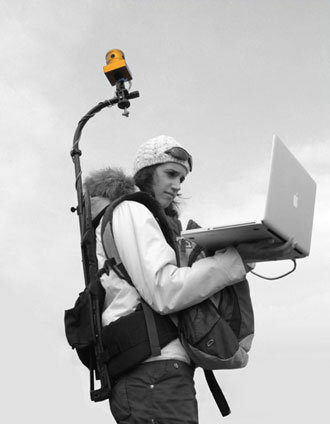 YellowBird is a startup in the Netherlands which has developed its own interactive 3-D video technology, including a 360-degree video camera, software to take the data captured by the camera and stitch it together, and a video player that allows anyone to navigate the video by dragging their mouse around. I’ve embedded an example video below. The controls can sometimes be a little overly sensitive, but you’ll get the idea. It is a much better experience than navigating through still photos. It really gives you a sense of walking through a crowd and swiveling your head around. The startup wants to custom develop 3-D immersive videos for marketing campaigns, and that is probably a good way to make money right now. But eventually it might be better off creating a platform so that anyone can make similar videos with standard off-the shelf cameras and software.